More than 200 years ago, on June 23, 1812 Napoleon Bonaparte and his 690,000 strong Grande Armée crossed the Nemunas river on the outskirts of Kaunas, thus entering Russia and officially beginning his ill-fated march on Moscow. At the time Kaunas, then known as Kovno, was a bustling outpost on the border of the Russian Empire and the short-lived Duchy of Warsaw, with a large Russian, Polish and Jewish population and only a handful of ethnic Lithuanian inhabitants. Two centuries and several devastating wars later, today Kaunas is renowned locally as the most Lithuanian of Lithuania’s large cities. How times have changed! Kaunas prides itself on its compact and well preserved Old Town, with its traffic-free main streets. Beautiful 16th-century buildings adorn Vilnius Street, and many of these surround the Town Hall Square. You will find several modern art galleries housed in these historic buildings. The city stands where the rivers Nemunas and Neris meet and you can easily lose count of the many green parks in its centre. Santaka Park is just one of them and is a stunning place to stroll among birch, oak and maple trees. It’s hard to believe you are still in the heart of such an energetic city. The arrival at Vilnius airport was not of the best; but then, expecting to find spring in December at these latitudes, is pure madness. Flying through a furious snowstorm, finally the plane’s wheels touched the runway with a hard jolt, making many of the passengers begin to scream. Ronaldas (Daugėla) and Silvija (Pročkytė), respectively artistic director and festival assistant, were waiting for me at the exit door. A two-hour trip by car brought me to the hotel in Kaunas. The following day was devoted to visiting the city (there are many interesting places in the historic centre and also many warm pubs) even if the outside temperature, somewhere between -12° and -21°) invited me rather to stay in the hotel. I do not know if it was funnier to see Ronaldas walking in the snow wearing just a jacket (no hat, no scarf) or me wearing so many clothes that I looked more ready for a polar expedition! But I had a pleasant time getting around in between a grog and a hot coffee. A pleasant evening concert performed by some of the choirs followed by J. S. Bach’s Christmas Oratorio presented by the Varpelis Lithuanian children’s choir closed the first day of the festival. The competition (category without compulsory programme) started on the morning of December 14 at the conference hall of the Park-Radisson Hotel, a large space with some hundreds of chairs for the audience. 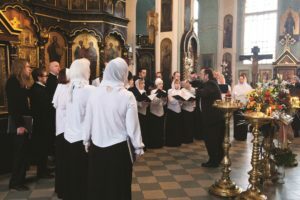 The level of the participating choirs in this class was not so good, though one choir impressed me more than the others. 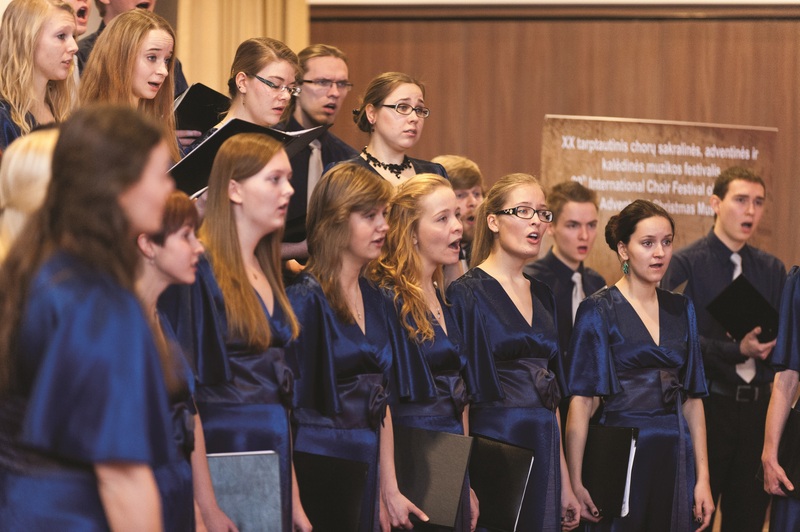 In fact the only group admitted to the ‘Grand Prix’ was the Tartu Youth Choir directed by Riho Leppoja and Kadri Leppoja. The final score for this choir was 91.2/100. 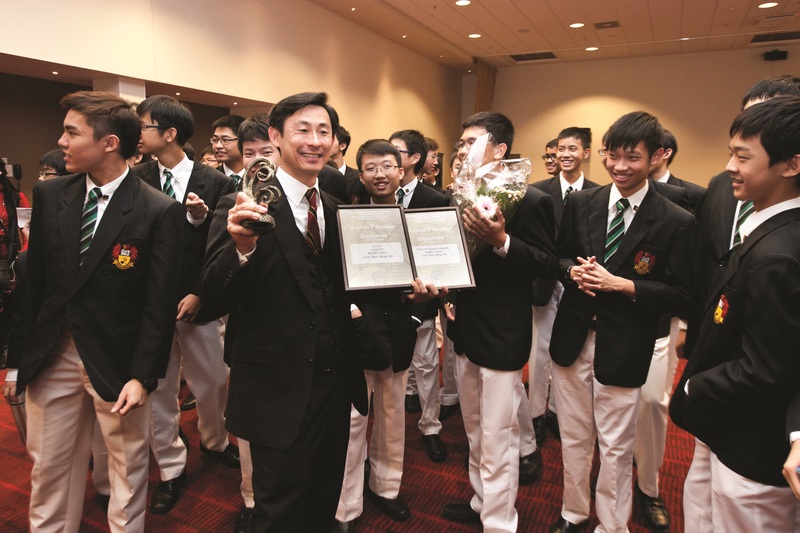 The quality of the choirs participating in the category with compulsory programme was much better. Here three groups were one step above the others. 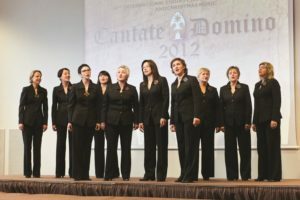 They were the Raffles Voices (Singapore) directed by Toh Ban Sheng, the Ivanovo Chamber Choir (Russia) directed by Evgeny Bobrov, the mixed vocal Ensemble A Cappella (Lithuania) conducted by Violeta Zutkuvienė; the Tartu Youth Choir also stood out. So four choirs played their trump cards on the last day in the final round at the Seminary Auditorium, but the Raffles Voices trumped all their competitors, winning the Grand Prix with a score of 97.5/100 points. I have come across this choir many times around the world and I have always been impressed by its sound and its rhythmic and expressive qualities. These young people are totally concentrated on their music, and serious about it. May I make just one suggestion, Mr. Sheng? I would like to see more pieces in your repertoire, especially Christmas pieces. 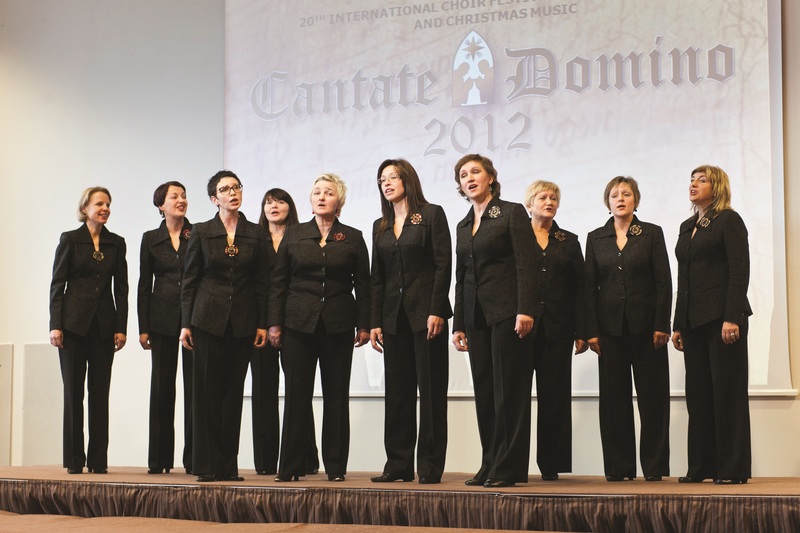 Cantate Domino canticum novum … (Sing unto the Lord a new song): this is the Festival motto. I am sure that God was happy to have listened to so much rich and beautiful music during those three days.